The weather continues to be poor in the Eastern Province of Saudi Arabia with a lot of sand and dust in the air and reduced visibility. These are normally good conditions for grounding migrants but this year the weather has been poor for so long that the migrants do not appear to be on the move in such numbers as usual. Numbers, therefore, seen whilst birding the ‘patch’ this week have remained fairly low. Wheatears have all but disappeared with just one female Black-eared Wheatear seen and Swift, Swallow and Martin numbers also being considerably lower with less than 20 of each with the exception of Barn Swallow where numbers were up to 30 birds. 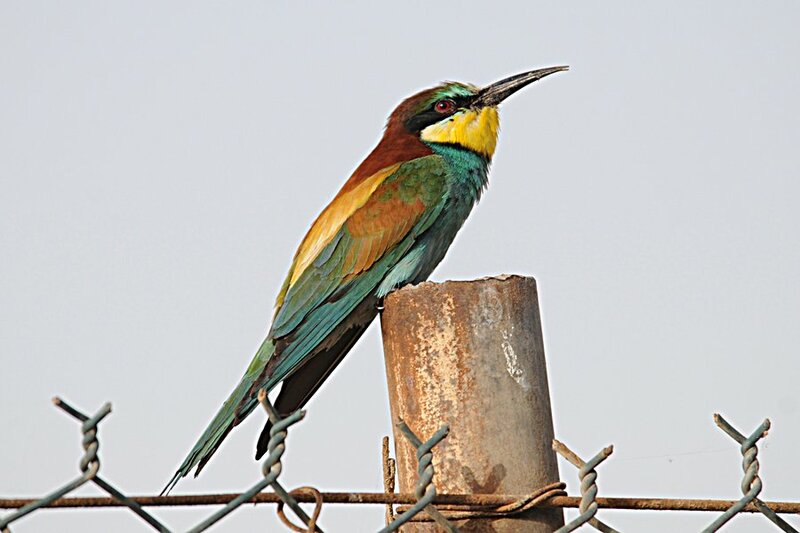 Bee-eater numbers also remained low with only two small groups of five birds each seen. 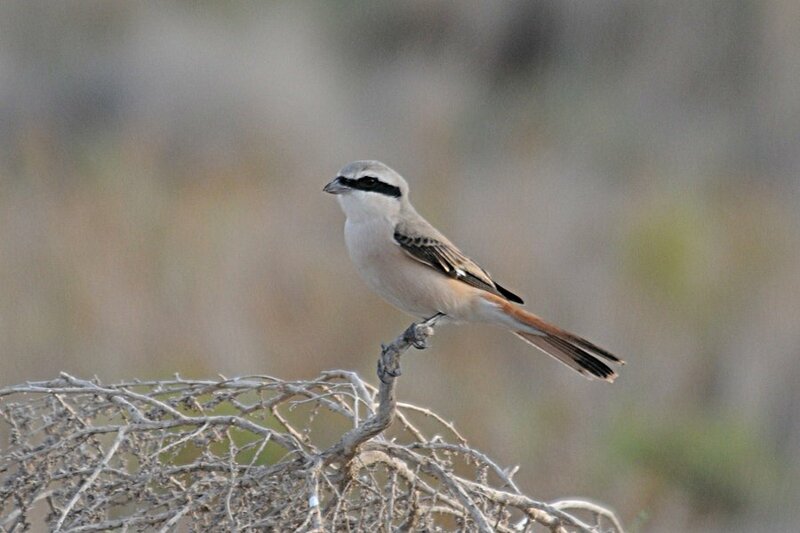 Shrikes are the only birds that are still present in reasonable numbers with all being Turkestan Shrike and Durian Shrikes with up to ten Turkestan Shrikes being seen daily. One very grey hybrid ‘karelini’ type shrike (Turkestan x red-backed) was seen on two days and a detailed account of this bird will be posted later. Turkestan Shrikes still outnumber Daurian Shrikes by about two to one. The Black-winged Kite is still present hunting mainly over the pray fields and perching in its favourite trees next to the pond. 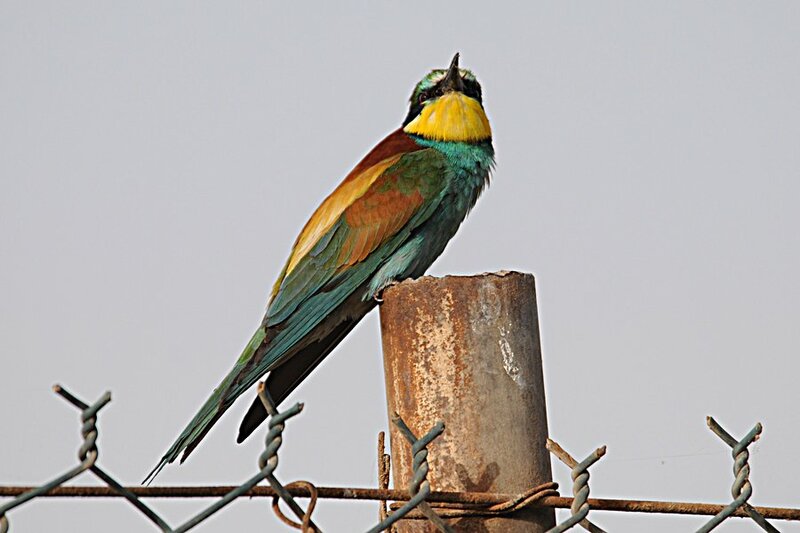 This bird has now been present for three weeks at the same site. Raptor numbers have been very poor this year compared to last year with the only one seen this week, excluding the Black-winged Kite, being a female Common Kestrel. 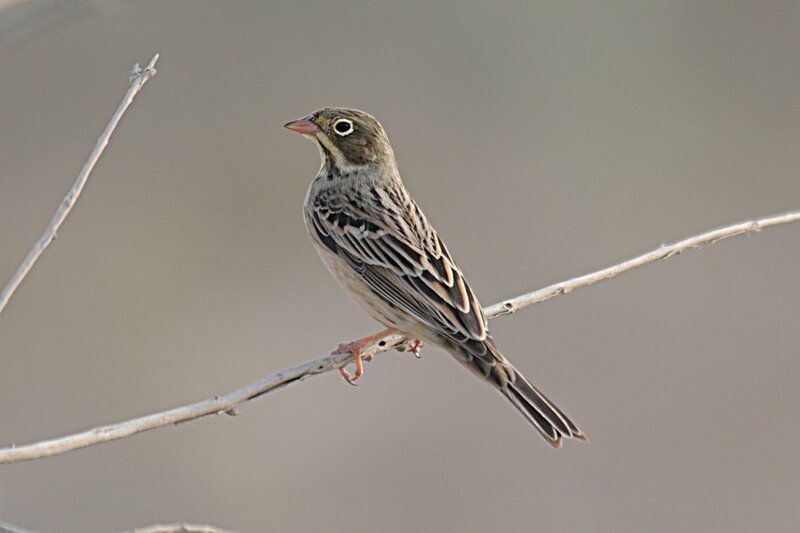 Other birds seen in reasonable numbers are Red-throated Pipit where up to 30 birds are regularly seen in the spray fields and Ortolan Bunting where a couple of different small groups of up to eight birds each are present near the spray fields and in the scrubby desert area. 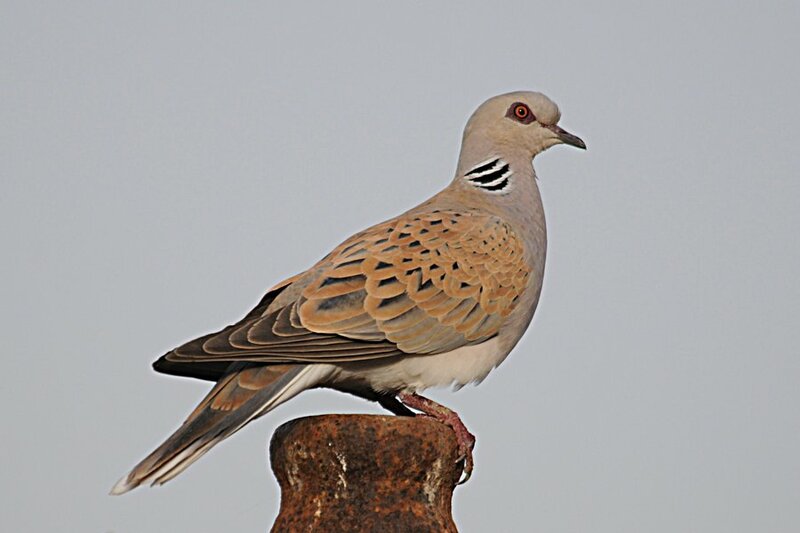 A few Eastern Olivaceous Warblers and three European Turtle Doves have also arrived for the breeding season but again these are in low numbers compared to last year. A single white phase Indian Reef Heron was the only good bird seen on the Percolation pond and two Common Greenshank were seen flying over the same area on one day.